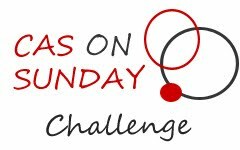 It’s time for our next CAS on Sunday Challenge! Woohoo! We are on to Challenge # 6 already…It’s hard to believe it! 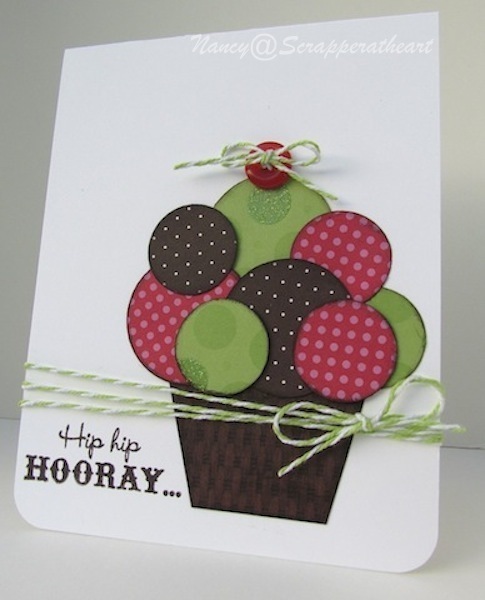 make a round card….which is not my forte! have to do is use circles on your card or project. Whew! I can do that!!! I have two photos for you! step it up a notch and add some embellishments. I don’t think there is a need for card details..
except the sentiment is from Close to My Heart. Sorry for the variations of photos….still messing with the new camera! which is part of Stampin Up ! along with a pack of Rhinestones!! Categories: Cards, challenges | Tags: Card making, Cards, Close to My Heart, Happy Birthday, rubber stamps, stamping | Permalink. This is so creative and sooo well executed. I never would have thought to do this! I love the dotted pattern paper for each of the circles too! Awesome design! Wow, both cards are beautiful, Nancy. I love the colours! Hi Nancy! I just love this card! So fun and cheerful! Hope you have a great week! LURVE this awesome card!!! So so creative!!! 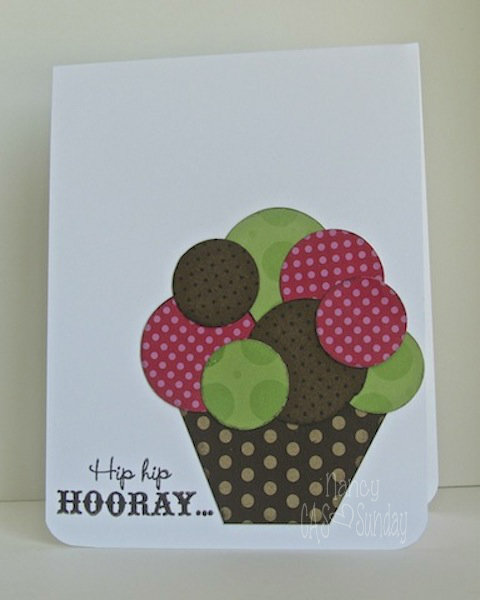 That is sure a cute card and fits anyone’s sweet tooth too. Yummy, indeed! Thanks Janneke….I am trying my best to master this soon!